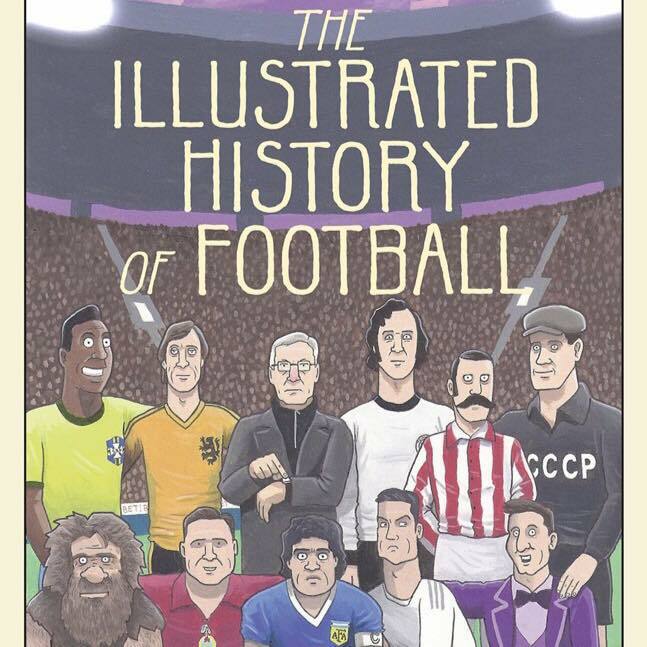 Cartoonist for The Guardian and author of ‘The Illustrated History of Football’. On weeks like this one, it involves sitting at my desk in a state of increasing desperation, willing my brain to come up with an original and funny joke about Arsene Wenger. 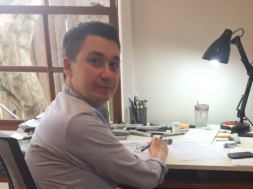 Most of the time though, it’s just about keeping an eye on the major football stories of the week and then writing a couple of cartoons about them. 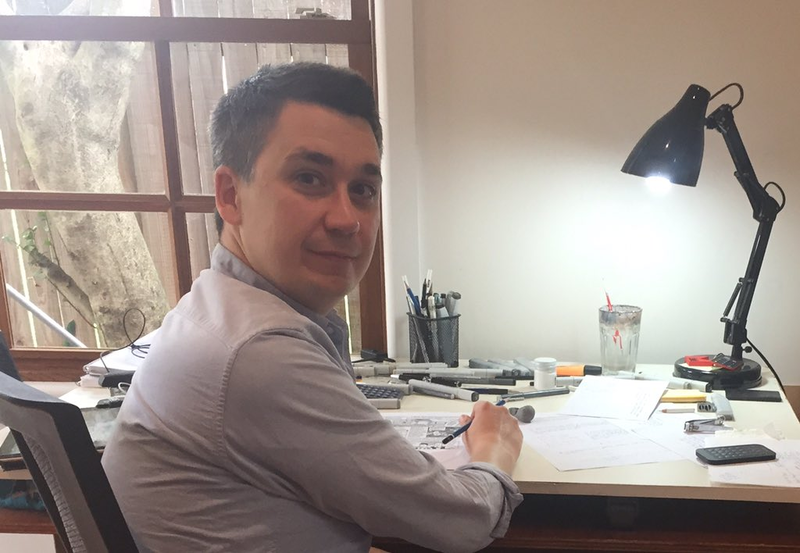 When I’m not doing that, I’m working on my second book, which is due out in November. 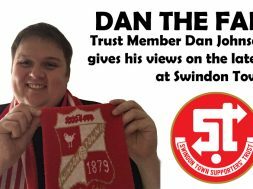 Okay, so the important stuff… how did you become a Swindon Town fan? I was born and raised in Swindon. Growing up in the town in the 80s was actually pretty exciting, the club were soaring through the divisions under Lou Macari and it was impossible not to be swept along with it. I’d go to the odd game as a treat, but neither of my parents are football fans, so it wasn’t until I started going to matches regularly with a friend and his dad in the 1986-87 season that I got really hooked. The 5-3 defeat at Oxford in 1991-92. Best forgotten, really. How often do you get to see Town play these days? I’ve lived in Sydney since 2009 and have only been back to the UK for two visits since, so mostly have to make do with late-night radio commentary on the internet and the occasional televised game. I was at the County Ground for the visit of Northampton in September. Town were a bit unlucky to lose 3-1 that night, I thought, as they were on top for long spells. Then I nearly got done over at the bus stop on Fleming Way. It was just like old times. Three words to sum up the club? Best moment following the Robins? The end of the 1992-93 season. Birmingham away (6-4), Tranmere away in the play-off semi-final, and then the final against Leicester at Wembley. All in the space of just over a month; all happening at the time when I was supposed to be knuckling down to study for my A-level exams. It was great to experience it all as an 18-year old though, a time of life when your brain is fizzing with hormones, accentuating the joy and pain of every victory and defeat. I completely ballsed up my A-Levels, but wouldn’t have changed a thing. Brentford away, when news spread across the away end that the club had gone into administration again was pretty bleak, but in pure footballing terms, losing the play-off semi-final at Brighton was the one that hurt the most. We had such a strong team that was capable of holding its own at the next level. If only Tommy Mooney hadn’t tried to run the clock down when there was still ages left. Then again, he soon proved that he was prone to making spectacularly wrong decisions. Jan the Man. In the second half of that Premier League season, he was unstoppable. Worst player you’ve ever seen in a Swindon shirt? There have been a few. 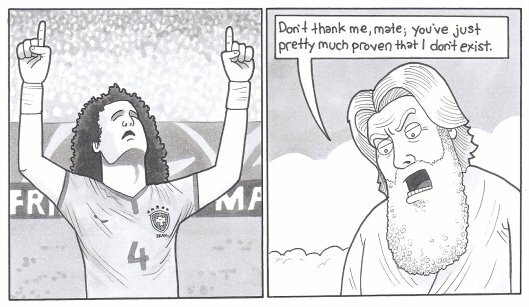 Gareth Hall springs to mind, as does Jason Drysdale (although, he was maybe more harshly judged on account of being McMahon’s inexplicable replacement for Fjortoft). For me though, it was Tony Thorpe – not actually a bad player, as we’d seen him deliver on many occasions for Luton and, annoyingly, Bristol City, but probably the player with the worst attitude. His performance in a cup tie against Boston United sticks in my mind. He spent his whole time on the pitch in the centre circle, with his hands on his hips, moaning. What would be the first three things you did if you became owner? Well, firstly, I wouldn’t be owner, as I live overseas and I tend to think whoever’s in charge should at least be in the same country as the club (call me old-fashioned). 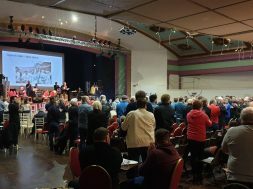 However, I think a priority would be to engage with the community to try and restore some of the trust that has been lost. A first step to doing this would be to rebuild the relationship with the local media. It’s crazy to me that this free source of publicity is shunned and bullied. It seems that the long-term health of the club will always be in doubt until they re-acquire ownership of the ground. That’s not something that could be achieved overnight, but there are some simple things that could be done, in terms of upgrading the facilities, that could be done quickly to make visiting the County Ground a more comfortable experience. Talk to the fans, ask them what needs to be changed; it’s hard to know when you’re sat in the director’s box (or the Cayman Islands). Thirdly, I’d make the position of Director of Football redundant and address the player recruitment policy. I don’t think most people have unrealistic expectations for the club, but it’s clear that the fans have lost any sense of connection to a team made up of loanees and short-term contractors. Sure, there are some who question why we aren’t bidding for Alexis Sanchez to solve our goal drought, but I believe that most would be happy to watch a team that was competitive and playing for a club that didn’t mistake the local people for fools. 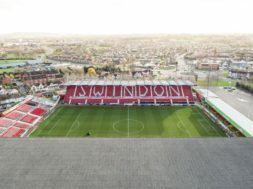 What’s your perfect five-year vision for Swindon Town? The ownership of the club is in the hands of fiscally-responsible people who have its long-term health in their hearts. A team that the fans have a real connection to, playing in a way that attracts the local public back to the newly-acquired County Ground. I’m not asking for the world. It would be nice to beat Oxford again at some point. If you had an STFC-themed dinner party, who’d be your five guests? Alive, dead or Eric Sabin. Jan Aage Fjortoft, Steve White, Lou Macari (designated driver), Super Sammy Parkin, Colin Calderwood (to find out whether he meant to score with that shot from the halfway line against Port Vale). And finally, what’s your favourite cheese? Halloumi, barbecued. I may have been in Australia too long, yes. 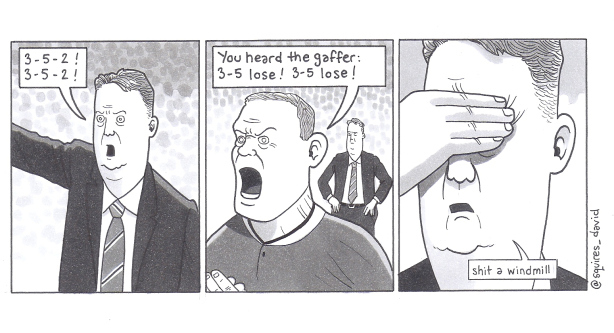 tags: david squires swindon town swindon town fc who are ya?